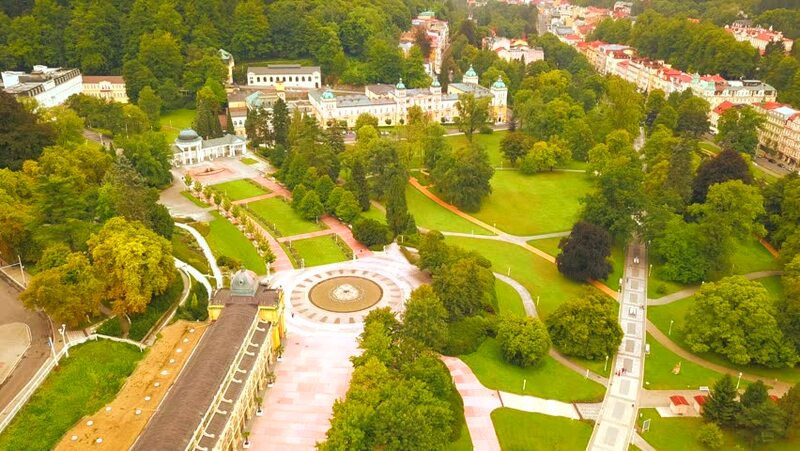 Aerial view of Marianske Lazne spa (Marienbad). Morning atmosphere in the historical center of the city. Famous spa town in the Karlovy Vary Region of the Czech Republic, European union. hd01:00Aerial view of Marianske Lazne spa (Marienbad). Morning atmosphere in the historical center of the city. Famous spa town in the Karlovy Vary Region of the Czech Republic, European union. 4k00:12Tourists in Rome walk past a statue. Time lapse tilt shift. Italy. August 2014.
hd00:15Gardens of Pedro Luis Alonso are in city of Malaga, Spain, architect Fernando Guerrero-Strachan Rosado, drawn in 1945. It is located next to Town Hall, between Puerta Oscura Gardens and Malaga Park.